Video Game Podcast Archives - Page 2 of 5 - Hey You Video Game! It’s NUMBER 43 of our video game podcast. This week is Gimmick and Lemonsmith discussing a barrage of gaming titles. We’ve got Runescape, Blackout on Call of Duty, the Uncharted Series, Grand Theft Auto, Castle Crashers, Dungeon Defenders, Borderlands, Playerunknown’s Battlegrounds and more! In addition, they discuss Shane Dawson’s ‘documentary’ on Jake Paul and why Gimmick may be a sociopath. Lastly, the guys answer a question about a man trapped at sea for 20 years. VERY INTERESTING! We hope you enjoy this episode of the Hey You Video Game podcast, and that you make this your PREMIER gaming podcast. If you want the dudes to talk about something on the podcast HIT US UP. We’re open to talking about anything from Super Smash Brothers to Grilled Cheese Sandwiches to Post-Modern Politics, but mostly video games. Thanks for listening! Direct MP3 – download this hot gaming podcast MP3 by clicking here! You can also search for “Hey You Video Game” wherever you catch podcasts to listen. Join our Facebook Community if you’d like to continue the conversation podcast episode. You can also see all of our podcast episodes from the past here. You can also contact us on Twitter. #42 – We’re Going to Shark Tank! 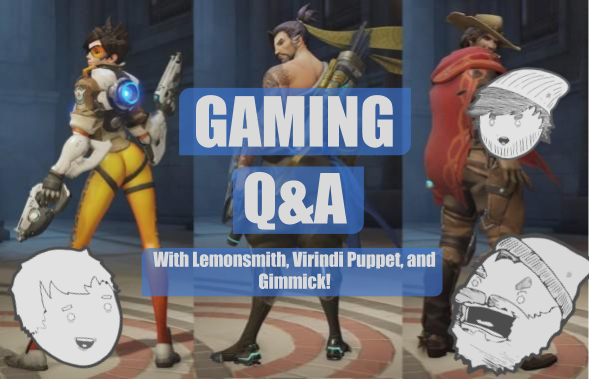 On Episode 42 of the gaming podcast HEY YOU VIDEO GAME you will hear from Gimmick and Lemonsmith. The two discuss PUBG, BattleRite, Battle Royale Genre, World of Warcraft, Banished, Pokemon Go, YouTube videos and more! In addition they give their pitch that they’ll be taking to Shark Tank as soon as they get the green light to get on the show. Welcome to the best video game podcast in the entire world. You’ve just arrived at your destination, and are about to listen to your new best friends. Gimmick, Lemonsmith, and Virindi Puppet have been playing video games for over 20 years and their commentary will blow your mind. Collectively, they have the most refined opinions on the gaming universe and you’ll be surprised by their wit, candor, and humor. On this week’s Hey You Video Game podcast you’ll be able to hear the boys talk about the following topics! ASHES OF CREATION. It’s an up and coming online RPG shooteresque game that’s bending the MMO genre. Tired of boring fights in World of Warcraft and looking for something that combines the hit registry of a first person shooter with the story of the Tolkien Universe? We are! The hype is real on this game, but Gimmick refuses to succumb to the excitement. The guys talk about why this game looks promising. If you’re curious about the gameplay youtube video they’re referencing you can find it HERE. Cyberpunk 2077. The company behind the Witcher franchise has released 45 minutes of their single player FPS. It’s got a Blade Runner vibe, and CD PROJEKT RED is known for games with DEPTH. All of the guys are excited for this one, but Lemonsmith will probably be the only one who plays it. The other boogers rarely make the time for a single player game. What about you? Are you looking forward to this game? Are you happy that it’s first person or were you hoping for this title to be third person? Share in the comments below! BATTLE ROYALE – Not an episode goes by where Gimmick and Lemonsmith don’t talk about upcoming battle royale titles. The Call of Duty BR called Blackout has released some information that the guys dig into. Surprisingly we are more excited for Call of Duty BR over Battlefield V’s BR titled ‘Firestorm.’ The reasoning is fairly simple. Battlefield is introducing TANKS to their battle royale. No one wants to play BR and face off against a tank. How in the world is Battlefield going to balance that? We understand they’d like to put their own spin on the battle royale genre, but tanks aren’t the answer. The HYVG stance is that the battle royale genre is still ripe for the picking, and a game developer only needs a working, competitive BR that has no gimmicks (har har). Seriously though – no base building, no weaponized vehicles, no fancy red zones, and no desync. Make a battle royale like this and the people would flock to it. New EMINEM ALBUM – Gimmick shares his love for the new album and the other two guys pretend to be interested. Go rap? SCUM – All three of the guys bought SCUM to see if their opinions were right from previous episodes. They found the game to have some serious issues, but are hopeful that a few changes would make it fun. Lemonsmith created a YouTube video on his own experience playing the SCUM video game. Check it out HERE. OTHER STUFF. They hit on a few other topics such as Black Desert Online Remaster, the idea for kamikaze monkey bombs, and ear issues. Welcome to your favorite gaming podcast! 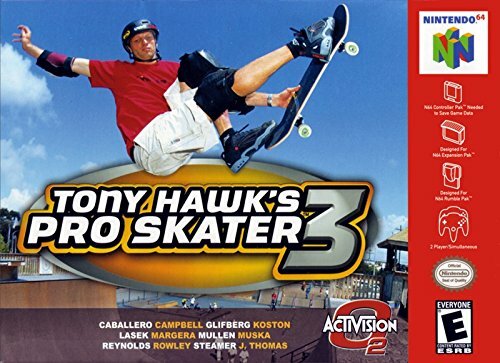 Your best friends had a grew time recording this episode of the HEY YOU VIDEO GAME! podcast, and we hope you’ll enjoy it. Here’s a summary of the meal. SCUM. 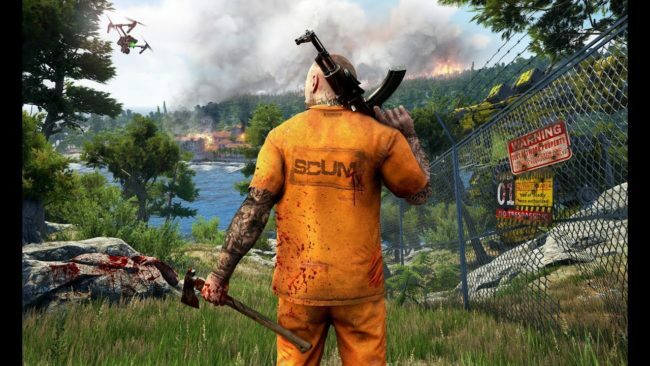 The $20 survival game SCUM (Society can’t understand me) is out for early access. We put in our due diligence and watched hours of streams, videos, and reviews to give our thoughts on the game. Spoiler – we didn’t hate it. BAD NEWS BATTLE ROYALE – Lemonsmith drops a few bombs on the group related to the Call of Duty Battle Royale and Battlefield BR game. Let’s just say the news isn’t good. Hopefully changes are made and someone gets a clue. We really need a polished BR game that isn’t constructioNITE or desync PUBG. Please Dice! Help us! Choices within Game Narratives. There are games like Stardew Valley, Mass Effect, Witcher, and Fable that require you to make choices that impact the narrative of the game. You can be a good guy or a bad person? What do you naturally lean towards while playing a game? The Mythical 2 Hour Stream. Is it possible to have a highly produced two hour stream that brings in millions of viewers? Lemonsmith thinks so. Virindi Puppet and Gimmick are unsure, but the boys talk about this fantastical possibility. This week’s podcast of the Hey You Video Game podcast covers topics such as..
Is PewDee Pieeeee a good or bad guy? 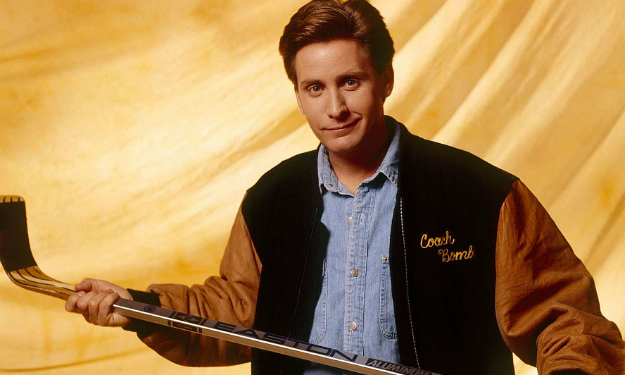 What’s the deal with Fortnite Coaches? Is streaming a responsible way of securing finances for a growing boy? Our thoughts on the survival game SCUM based on the short trailer and gameplay videos that we have seen. Direct MP3 – get yourself a fresh MP3 by clicking here! Did you miss us? We’ve been out and about for awhile, and took a break from the podcast. GMMK is back from Japan, Virindi Puppet is still playing Escape from Tarkov, and Lemonsmith is as chipper as ever. The guys talk about the games they’ve been playing for the past four months. 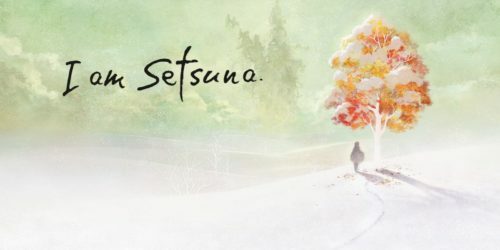 This includes: PUBG, Celeste, Will to Live, Steamworld Dig, Hollow Knight, Escape from Tarkov, and I am Setsuna. We hope you enjoy the podcast. We had fun recording, and are looking forward to getting more content out. Any game recommendations? Especially on the MMO front? We need a good MMO to get into as PUBG is losing its luster. Gimmick, Puppet, and Lemonsmith are running da gauntlet. They talk about Lemon’s new computer, Overwatch, Tony Hawk leaving Activision, Tale of Toast, 1-star video game reviews, Super Smash Brothers, The Division, Diablo 3, Escape from Tarkov, PUBG, and Goldeneye 64. Welcome to your new favorite video game podcast! #31 – Do Video Games Cause Violence? We’re taking a more serious note on this episode of the HYVG gaming podcast. 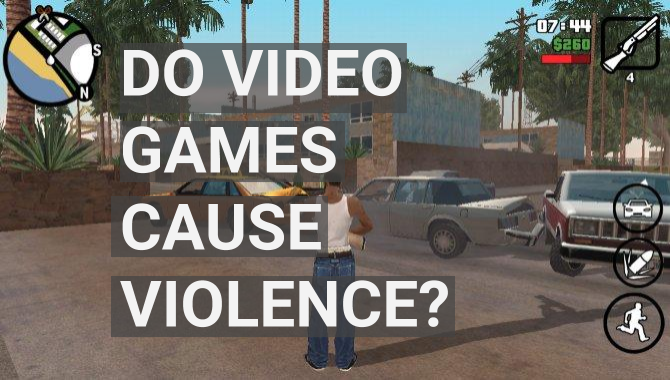 In light of the recent news, we wanted to take a dive into the question “Do Video Games Cause Violence?” It’s a debate that seems to flare up every now and then, and we wanted to see if their was any merit to it. Here’s a general outline of the episode. In light of the Florida shooting, certain republicans are blaming violent video games and movies to divert from the gun control conversation. Do they have a point? Are we more or less desensitized to violence in the modern world versus other times in history? Even if they don’t cause real world violence, is there a moral problem with these games? Is it fair to link this issue with school shootings? We also reference different studies and articles. Here’s a list of many of the studies and articles that helped inform our decision. We tried hard to find support for the argument that video games cause violent behavior, but couldn’t find any. Do you disagree with us? Do you have facts that support the counter-argument? Please share it in the comments below. We’d love to see your findings and dialogue about it. Join our Facebook Community if you’d like to continue the conversation on this Do Video Games Cause Violence Podcast episode. You can also see all of our podcast episodes from the past here. You can also contact us on Twitter. #30 – Video Game Books AND More Factorio! Have you ever read about a book that was based off of a video game that you played? What did you think about it? Are game developers creating books based off of their video game content as a cash grab? Are these books even worth reading? We really get into it on this one with varied opinions on the subject. If you’re looking for books based on video games you can also check out a post we did on the subject not too long ago. Lastly, Gimmick and Lemonsmith are going ham on FACTORIO (starts at 43 min 10 second mark). They share why this game has captivated their heart, mind, and soul. We hope you like this episode! Direct MP3 – mp3 of this episode right here for you to download! Join our Facebook Community if you’d like to continue the conversation on this gaming podcast episode. You can also see all of our podcast episodes from the past here. You can also contact us on Twitter. You’ve got questions about gaming and we have ALL the answers! The boys spout wisdom about Minecraft, gaming IRL, relationships, and more! It’s our Gaming Q&A podcast where we answer questions about gaming, and do our best to give advice. Topics on this Q&A range from: minecraft, counterstrike, hacking, griefing, dating a gamer, Pokemon Go, violent video games, WoW, depression, parenting skills, virtual butts, and more! as male gamers do you always play male characters? how do i get my parents to allow me to play violent video games? what’s wrong with my Pokemon Go boyfriend? Why is war portrayed as bad in video games? We’re planning on doing another Q&A episode in the future, and if you’d like us to answer your question send it to us via comments below or on Twitter or Facebook. WE HOPE YOU LIKE OUR EPISODE AND WILL BE OUR FRIEND. MUCH LOVE. Join our Facebook Community if you’d like to continue the conversation on this gaming Q&A podcast episode. You can also see all of our podcast episodes from the past here. You can also contact us on Twitter.